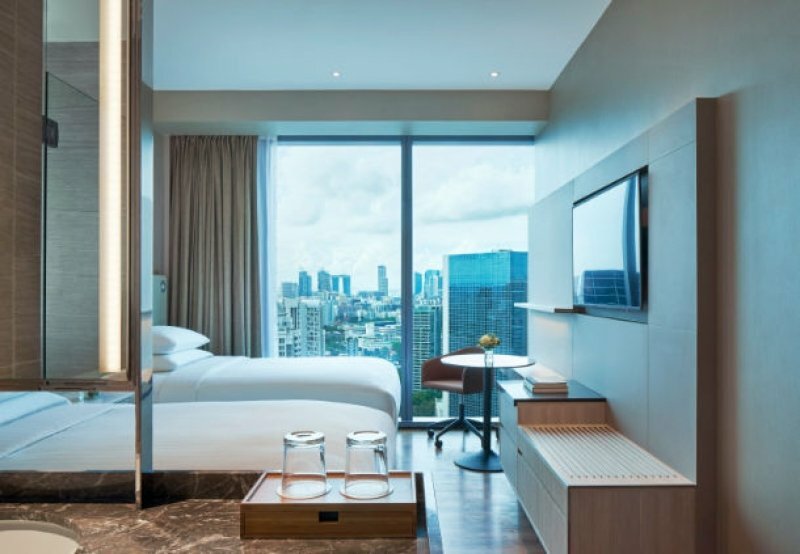 Singapore’s first ever Courtyard branded hotel is now here, and you can be among the first to stay! The highly anticipated Courtyard by Marriott has landed on our shores! 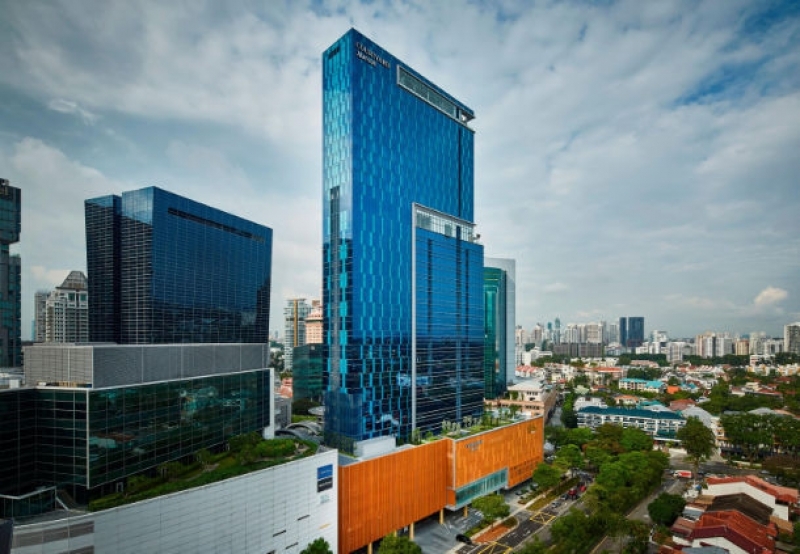 Starting operations today, Courtyard Singapore Novena is the newest addition to the family of the three other Marriott branded hotels already on the island. Occupying the 22nd to 33rd floor of the Royal Square at Novena, it is directly accessible from Novena MRT station and is strategically located amidst an exciting array of dining and retail options. All 250 guest rooms in Courtyard by Marriott are elegantly furnished and complete with plush bedding and fluffy pillows to provide guests with the utmost comfort. 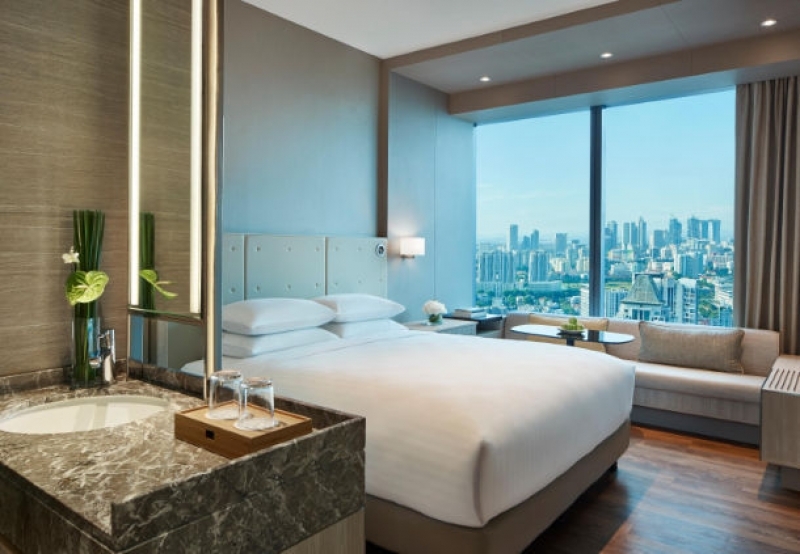 Each room is also fitted with large floor-to-ceiling windows, and guests can wind down for the night with a drink in hand and a view of the city skyline. Alternatively, for even better views, check out the hotel’s top floor and enjoy cocktails at the Urbana Rooftop Bar. Courtyard Singapore Novena is also home to a variety of hearty dining options and among them is Sky22, the hotel’s signature restaurant which serves international cuisine. Reservations for rooms are now open and can be made directly via the hotel’s website , with a special opening rate from S$239++.